Nurse Practitioner Ploederl was extremely helpful and kind. She took care of me right away, helped me get more done thanexpected, and was sure I got all the information that I needed. Every person I encountered at this office was professional, understanding and kind. Nurse Practitioner Ploederl was extremely helpful and kind. She took care of me right away, helped me get more done than expected, and was sure I got all the information thatI needed. Every person I encountered at this office was professional, understanding and kind. Dr. Sondra has the most caring bed side manner! She is very calm and knowledgeable. Our whole family loves seeing Dr.Sondra. Dr. Sondra has the most caring bed side manner! She is very calm and knowledgeable. Our whole family loves seeing Dr. Sondra. 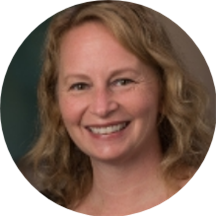 Sondra has been practicing as a family nurse practitioner since 2009. She earned a master’s degree in nursing from Regis University in Denver, Colorado, and is board certified. Prior to this, Sondra worked as a registered nurse in the ICU and urgent care settings, and as a medical assistant. Sondra enjoys working in the family practice setting because it allows for her to get to know the whole family. She values and respects the patient/provider relationship. Her healthcare philosophy is to listen to and educate patients in order to lead them towards obtaining and maintaining their optimal health. In her free time, Sondra is out with her dog enjoying all that Colorado has to offer. Fantastic! Always caring, professional treatment.